Extended car warranty solutions are basically insurance policies against the breakdown of the parts of your car. These include both mechanical and electronic parts. Car warranties are nothing new, but the demand among buyers has increased dramatically lately, such that the major service providers have expended their offerings or become solely motor warranty providers. But with so many options available, car owners are both advantaged and disadvantaged at the same time. What we mean by this is that while there are now many extended car warranties available (which has driven down costs), there is a lot of misinformation and misunderstanding about a whole lot of things involving car warranties. WarrantyExtender.co.za aims to bust the myths and offer you the best extended car warranty plans. 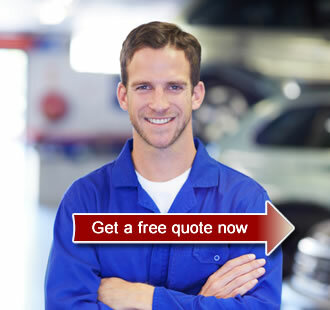 A car warranty is one of the things you as car driver can easily bypass. This is understandable, because you don’t usually see TV commercials and billboards bombarding you, and offering car warranties. And your best hope – the internet – can be overwhelming and you end up not knowing which option best suits you, or even if the offer is legit or not. When you want to buy an extended car warranty, it’s always best to compare, not just prices, but the provider as well. Generally speaking, there are just three main types of car warranties. These are your vehicle manufacturer, like BMW has the BMW Motor Plan, the big insurance companies like the Hollard Motor Xtender, or bespoke car warranty companies like Motorite. All three types have their benefits and differences. Suppose you buy a motor vehicle from a Toyota dealer, and as part of the sale, you take up an option for an extended car warranty with the manufacturer. This is one form of car warranty, where the benefits typically include repair work to all major components of the car, and integration with your service or maintenance plan, which is a different product on its own. The manufacturer knows the car better than anyone else, and fixing any mechanical or electrical malfunction should be easier this way. This usually comes with new cars, or other relatively expensive cars. Manufacturer warranties are also called factory warranties. By other providers we mostly mean insurance companies and big banks. While a vehicle manufacturer’s warranty might expire, a product such as the Hollard Motor Xtender gets you covered even if the manufacturer’s warranty has expired. This is great for owners and buyers of used cars. One major benefit of car warranties of this type is that it integrates well with your car insurance policy for example, where the cost of your premiums can go down significantly just because you have an extended car warranty with that insurer. Companies like SA Warranties and Motorite have made good inroads being stand alone boutiques for everything you need in a car warranty. These offer specialist and usually custom services. Of course, many also work with the manufacturers and other providers, while branding their products as their own. AWP Warranty has a partnership with Hollard for example.